The German tenor, Jonas Kaufmann, is one of the hottest properties in the opera world. He captivates audiences with the power, emotion and beauty of his singing, the intelligence of his acting, his matinée-idol delivery, and his extraordinary range – from the heroic stage roles in Wagner to the intimate songs of Schubert on the concert platform. For this documentary for the BBC’s Opera Season, the film-maker John Bridcut has been given unique and often surprising access to Kaufmann across the last two years, observing him in rehearsal, backstage during performances, and in his off-duty moments. It is by far the most intimate and extensive portrait yet made of Jonas Kaufmann, now at the peak of his career. He was filmed behind the scenes at the Last Night of the Proms, when he was the first German to sing Rule, Britannia! His schedule was later interrupted for five months because of a vocal injury, but recently he made a triumphant return, notably in the production of Verdi’s late opera, Otello, at Covent Garden. 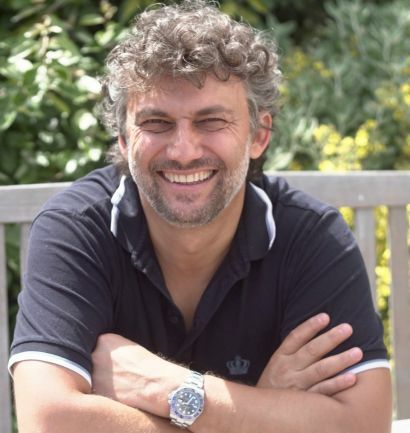 Kaufmann is filmed working with the Royal Opera’s music director, Sir Antonio Pappano, and the stage director, Keith Warner – and is involved in every aspect of the preparations. He talks freely about his earlier cancellations, about what keeps him going during a run of performances, and about the problems of being a star. Broadcast on BBC Four, Sunday 15 October, 9pm, and repeated on Thursday 28 December at 10.20pm. The film is available for international broadcast. Please contact EuroArts.